Missed out on our Pledge Music campaign? Have no fear. Our newest CD/DVD "Licensed to Move," which is bursting with your daily requirement of real guitars, real drums and real fun. 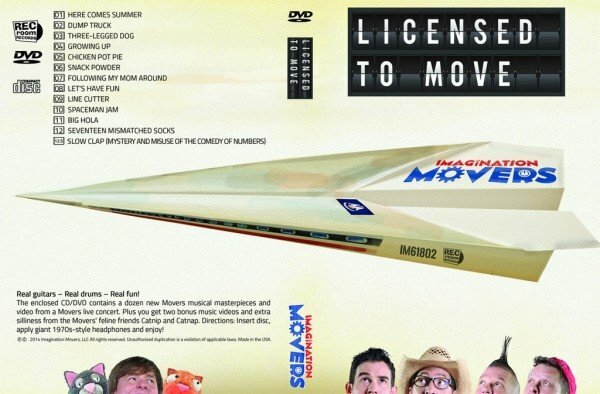 This new Movers masterpiece contains a dozen high-energy new songs and video from a live concert. Plus you get two bonus music videos and extra silliness from the Movers’ feline friends Catnip and Catnap. So get your ‘license’ today.